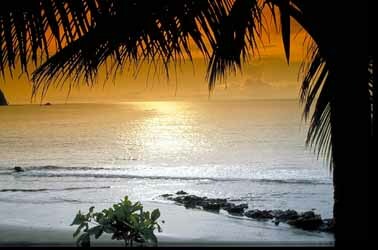 Costa Rica is a small tropic country which lies between two oceans and is known as the oasis of peace. Located in the Central America isthmus, between Panama and Nicaragua, with ports in both the Atlantic and Pacific Oceans. The Caribbean Sea lies to the east and to the west is the Pacific Ocean. This is a small tropic country with complex mountainous topography in the center, grand rivers running throughout that provide ideal fishing, a Caribbean coast of beaches and a Pacific coast with a variety of islands, gulfs, headlands, coves, swamps, inlets and peninsulas. The climate is as varied as its topography. Costa Rica has 4 daily newspapers, several weekly publications, a complete complement of AM and FM broadcast stations - all in Spanish. Television channels are available in both Spanish and English. 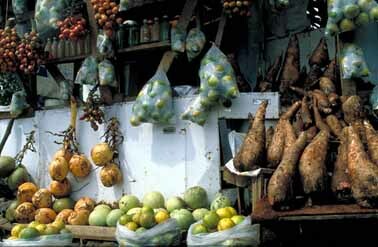 A wide variety of international cuisine is offered to tourists visiting Costa Rica. The lodging facilities - hotels and resorts are abundant. There are large luxury hotels and spas providing full services, swimming pools, restaurants, discotheques and conference facilities in the cities and out in the countryside. There is also an abundance of small, friendly hotels and bed and breakfasts located in beautiful, old converted homes. There are also mountain lodges, beach hotels, jungle lodges and cozy cabins. Native craftsmanship is found in a wide variety of colorful items. Typical traditions feature pre-columbian objects, wood and clay sculptures, pottery, leather goods, jewelry and wickerwork. Shopping is not limited to local crafts alone. 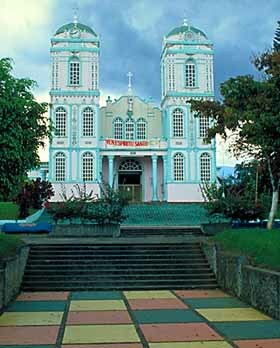 Costa Rica has shopping malls, name boutiques and open-air markets in the center of San Jose, Moravia, Sarchi and Guaitil for examples. Costa Rica is known as "the Switzerland of the Americas." Costa Rica is lushly tropical, continually wrapped in luxurious green vegetation, a place where coffee, sugar cane and mangoes thrive, and where snow never falls. However, the similarities lie in that both countries are peaceful, progressive countries where democracy and stability are hallmarks. Nowhere will you find people more deeply committed to the preservation of their country's natural wonders. They have within their boarders no less than one twentieth of the world's total biodiversity. For every four acres, one is dedicated to parklands and wildlife refuges. In 1948 the Costa Ricans abolished their army and hired Platoons of Forest Rangers. Costa Rica is known throughout the world as a premier location for having consistent waves for surfing, good people and an awesome nightlife.